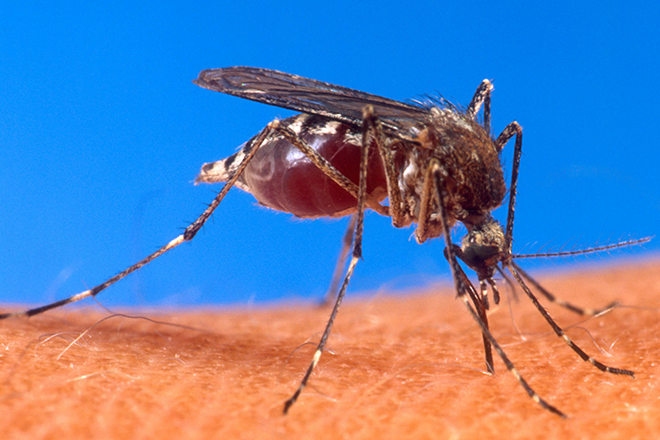 As summer draws to a close, the state health department is reminding Coloradans to continue protecting themselves from mosquito bites to avoid the West Nile virus. There have been six human cases of the virus reported in Colorado far this year, and mosquito pools in multiple counties have tested positive for the virus. "The biggest months for human West Nile virus cases in Colorado are August and September," said Jennifer House, state public health veterinarian. "When vacations are over, and the kids go back to school, it's easy to forget mosquitoes are still out in force. We want to remind people to keep using insect repellent and other methods to avoid mosquito bites." So far this year, Coloradans in Adams, Boulder, Jefferson, Morgan and Phillips counties have contracted the virus. One had West Nile fever, while the remaining five were hospitalized with a more severe form of the disease. There have been no deaths this season, and the six people are recovering. A number of other suspected cases currently are being investigated. "The recent increase in reports indicates West Nile virus transmission to people is on the rise," House said. "Be vigilant in guarding against mosquito bites." In addition to the human cases, two horses and 12 birds have been identified with the virus. The animal cases were in Larimer and Weld counties. Mosquito pools in Adams, Alamosa, Arapahoe, Boulder, Delta, Denver, Jefferson, Larimer, Mesa and Weld counties have tested positive for West Nile virus this year. Since not all counties and municipalities test for mosquitoes, it's important for all Coloradans to continue to take steps to prevent West Nile virus. Drain standing water around your house often. Most people who are infected with West Nile virus don't have symptoms. About 20 percent have flu-like symptoms, and less than one percent develop a serious, potentially deadly illness. People over age 60 and those with certain medical conditions are at greater risk of serious illness. During the 2016 season, eight people died from West Nile virus. See a healthcare provider if you have mosquito bites and develop severe headaches or confusion.